Vitiligo is a form of Leukoderma, or loss of skin pigmentation. This affects at least 1% of the world’s population. Vitiligo develops as white spots in the skin that vary in size and location. 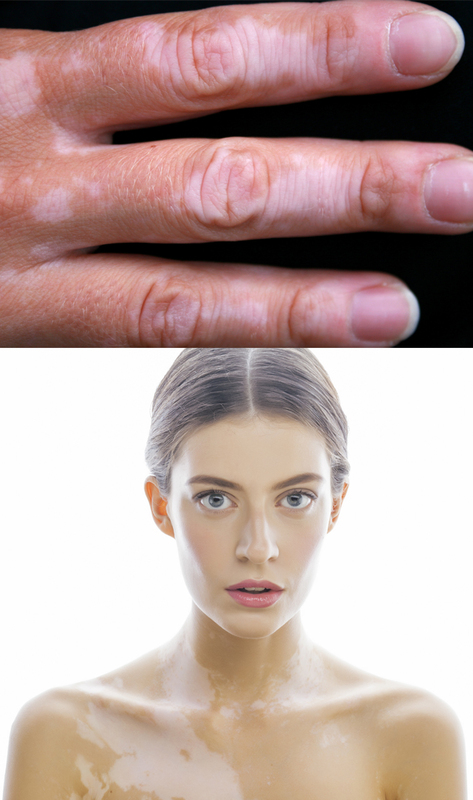 These unsightly spots occur when melanocytes are destroyed and melanin can no longer be produced. Melanocytes normally occur throughout the skin, hair follicles, and some parts of the central nervous system. is designed to only treat the affected areas. The number of treatments vary from 12 to upwards of 25 visits. South Shore Lasers offers non-surgical procedures performed by licensed professionals. Procedures are based on the individual and may take more time for multiple procedures or to achieve individual best results. Ask a South Shore Lasers professional more about your individual choices and what you can expect. Results will be unique to each client depending on age, health, skin and other personal/individual factors. The information provided on our website and photos are for illustrative purposes only and do not constitute a guarantee, promise or representation of any particular outcome or experience.